These are aftermarket 3.0 volt replacements for the Invisible Fence brand Powercap dog fence battery. They are compatible with all Invisible Fence Brand R21, R22, R51, or MicroLite electric dog fence receiver collars. All series are compatible, including Titanium, Platinum, Graphite, and Mink versions. We guarantee our replacement dog fence batteries will provide stable power which will last just as long as the overpriced Powercap invisible fence batteries from your local Invisible Fence dealer. Each year, we sell more than 15,000 of these dog fence batteries with many repeat customers all over the United States. They perform at least as well as Invisible Fence brand Powercaps and will not affect the warranty on your Invisible Fence brand dog fence collars. Why are these batteries so good? The design was personally approved by the former Chief Engineer at Invisible Fence Company - the same person who designed the original PowerCap himself. Additionally, they are built under his direct supervision in a state-of-the-art manufacturing facility in Pennsylvania. That's right - they're NOT made in China, like Invisible Fence by Petsafe. Just reordered 10 more....nuff said ? Have tried several aftermarket batteries to avoid the obscene price Invisible Fence try’s to foist on their customers. this company has as good as there is in my opinion, 1/2 price and equivalent usage time, what more need I write, try them, you’ll like them. The Perimeter ComputerReceiver Collar for Invisible Fence Dog Fences is guaranteed to work with your compatible Invisible Fence Brand pet fence system. Our Combo Kit includes 50 Training Flags & a Year's supply of batteries -all with Free Shipping. 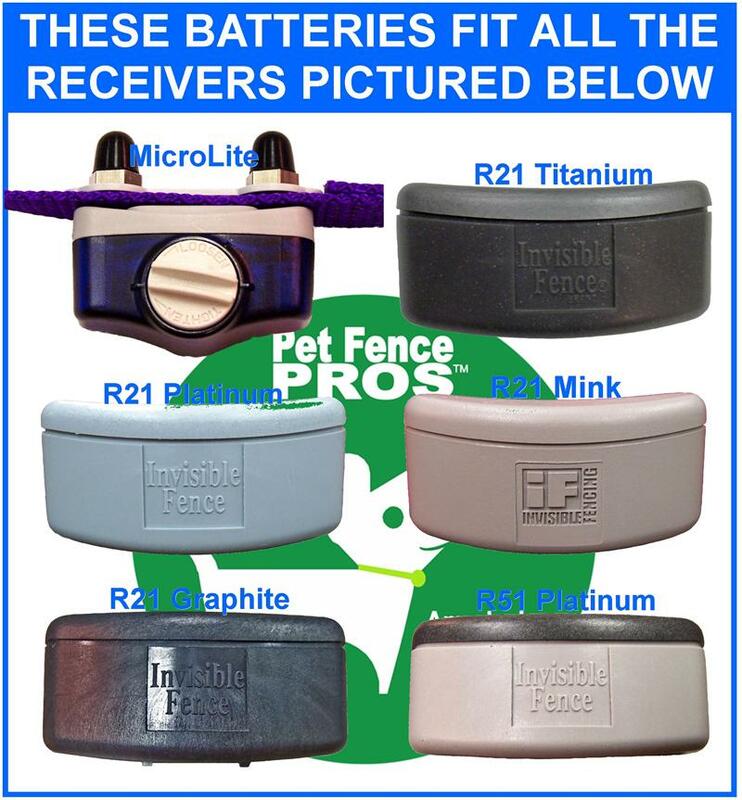 These replacement dog fence batteries fit all Invisible Fence Brand R21, R51, or MicroLite electronic dog fence receiver collars. All Invisible Fence Computer Collar series are compatible, including Titanium, Platinum, Graphite, and Mink versions. 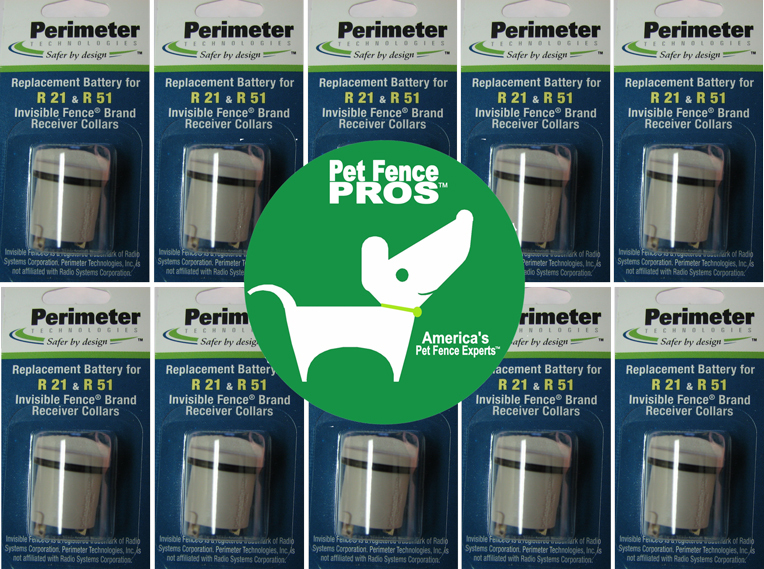 Protect your valuable pet fence receiver from dings and scratches with our colorful Receiver Skins®. 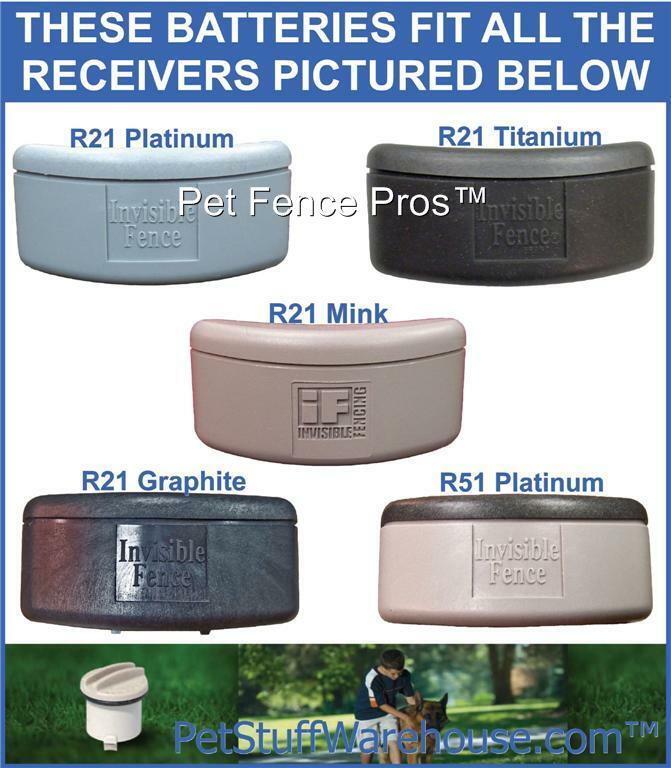 Fit Invisible Fence brand R21 or R51 dog fence collar receivers (Mink, Platinum, or Titanium). Available in Red, Blue, Black Pink, and Glow-in-the-Dark. Four Pack of Premium 7.5 Volt Silver Oxide Batteries for older Invisible Fence Brand Dog Fence Collars. Designed and built for Pet Fence Pros, these dog fence batteries meet or exceed the original specs from both dog fence manufacturers. Retractable Gentle Spring Posts for Dog Fence Collars. Safer & More Effective for Dogs with Long or Thick Coats. 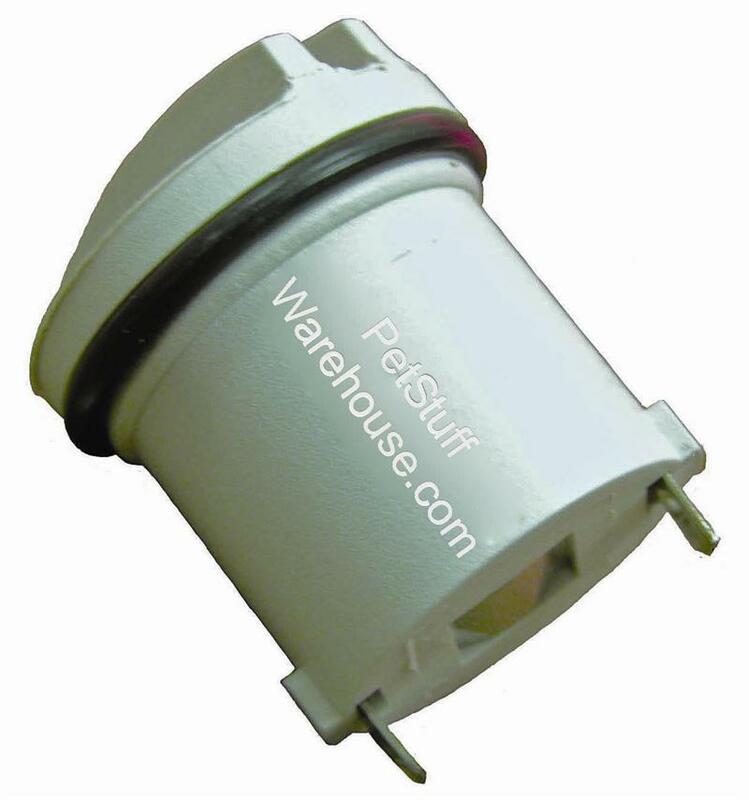 For PetSafe, Innotek, Contain a Pet, & Invisible Fence underground or wireless electric pet containment pet fence systems. This kit includes all you need to make your Invisible Fence brand Microlite dog fence Collar look & perform like new. 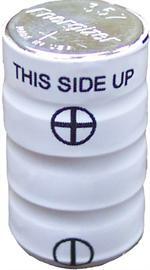 Our Dealer Quality pet fence accessories are designed & manufactured to fit perfectly and deliver lasting performance.